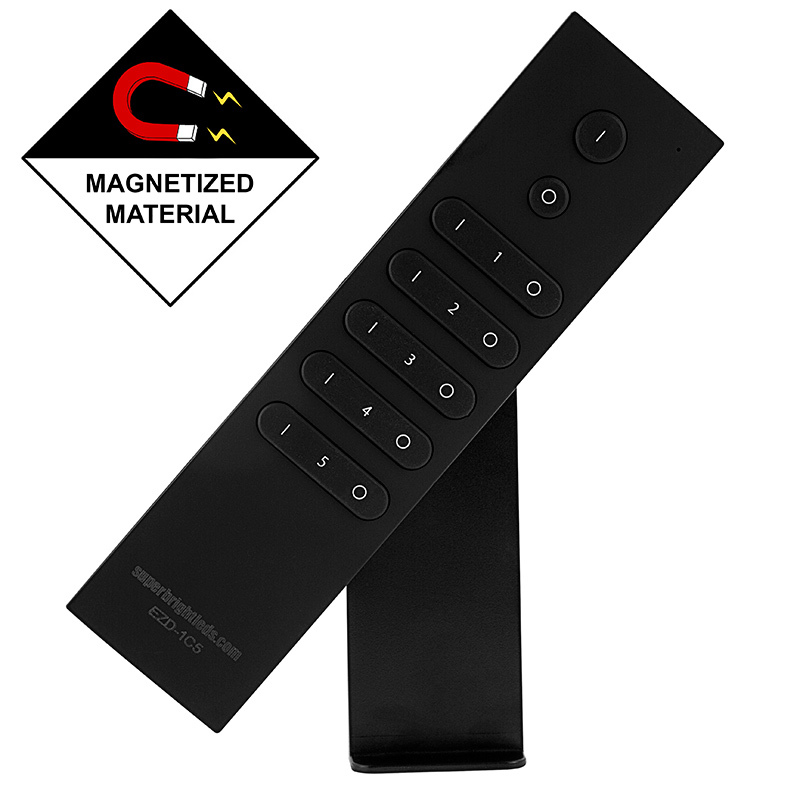 Wireless Single Color LED Dimmer Remote w/ Magnetic Remote Dock for EZ Dimmer Controller: 360° View. 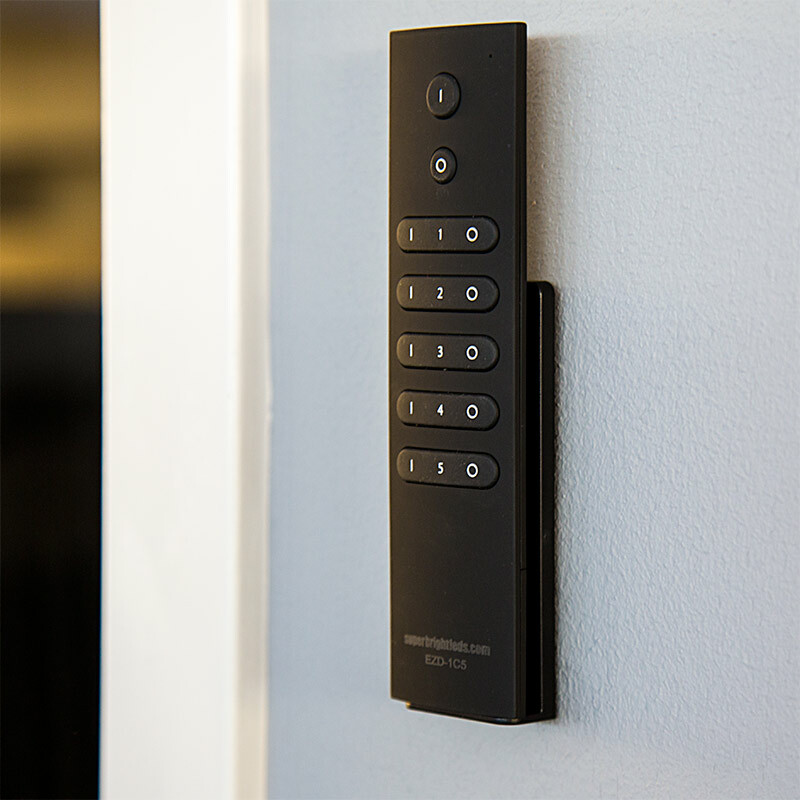 Designed for use within the EZ Dimmer series, this wireless LED dimmer remote features a magnetic remove dock and provides on/off control, 5 zone control, dim/brighten capability, and matching controls for all zones at once. 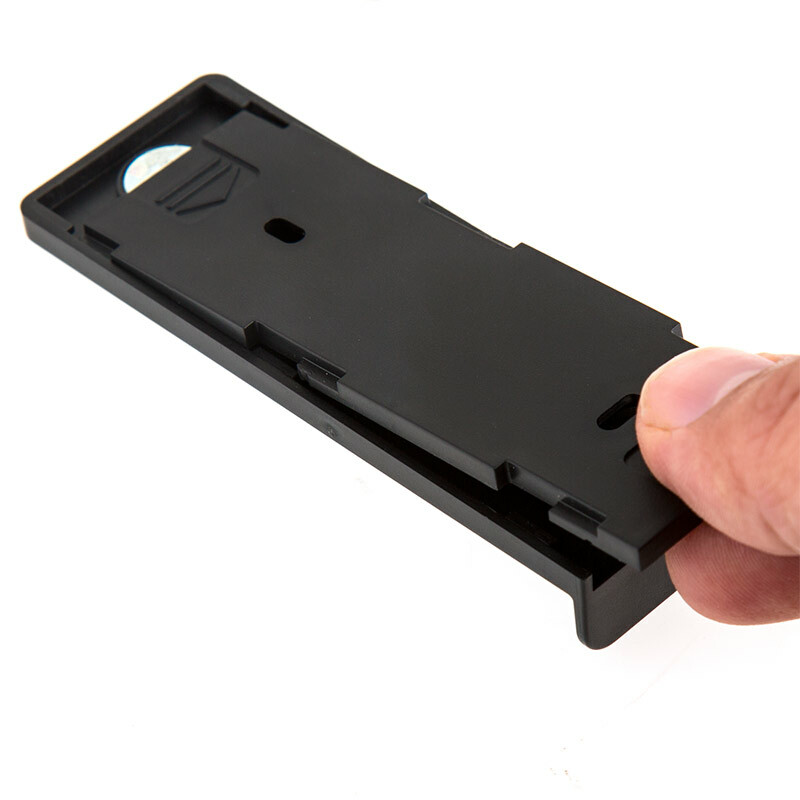 The dimmer transmits an RF signal to the wireless receiver from up to 65ft away in open air. DO NOT install with power applied to controller. DO NOT expose the Push Button Switch or Controller to moisture. 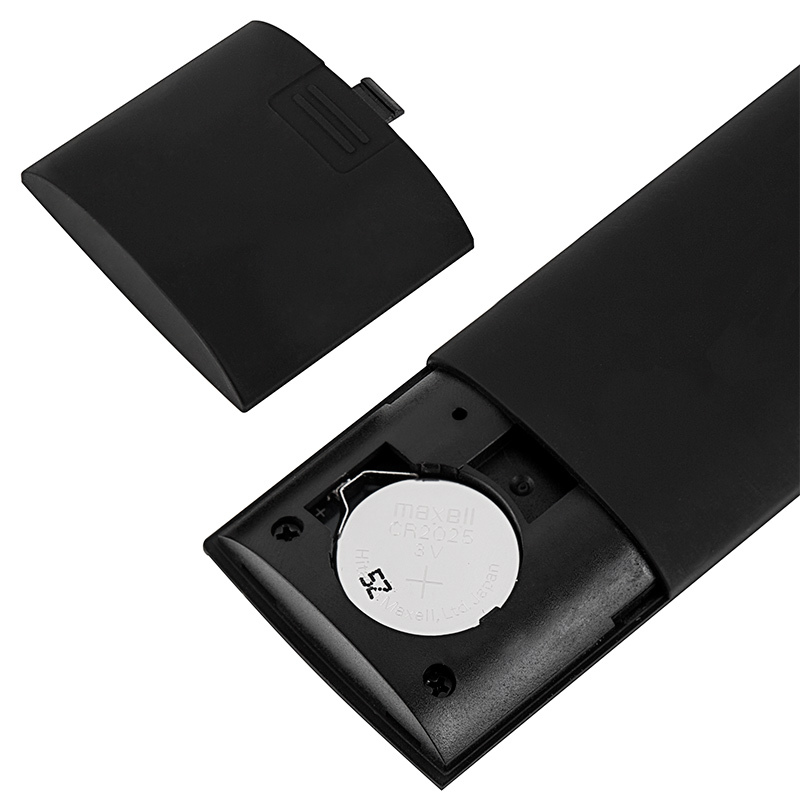 Follow illustrated steps to remove the Battery Tray. 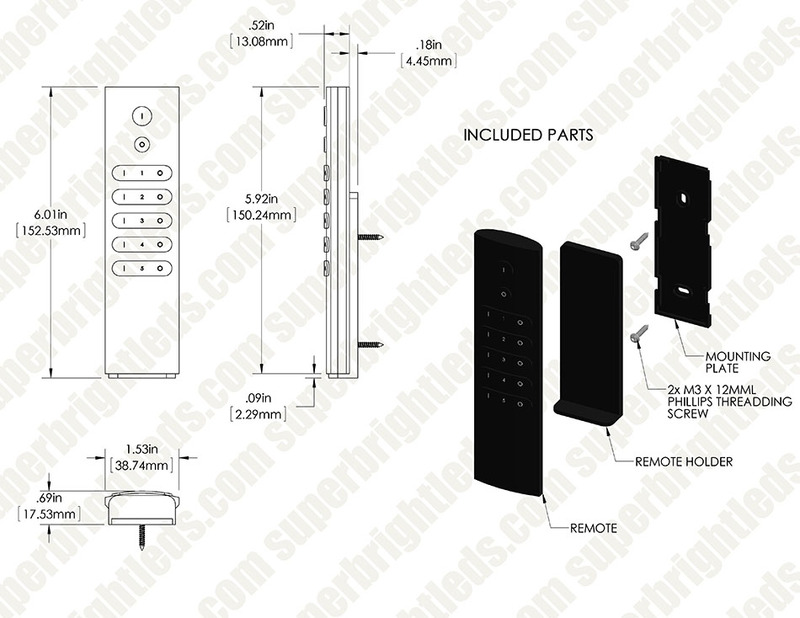 Insert the 3V battery included with the Push Button Switch. Make sure power to the Controller is disconnected. Using a small ﬂathead screwdriver, loosen the labeled terminal screws visible on the top of the controller. Matching light strip wires with labeled slots on the Controller, insert wires and tighten terminal screws. 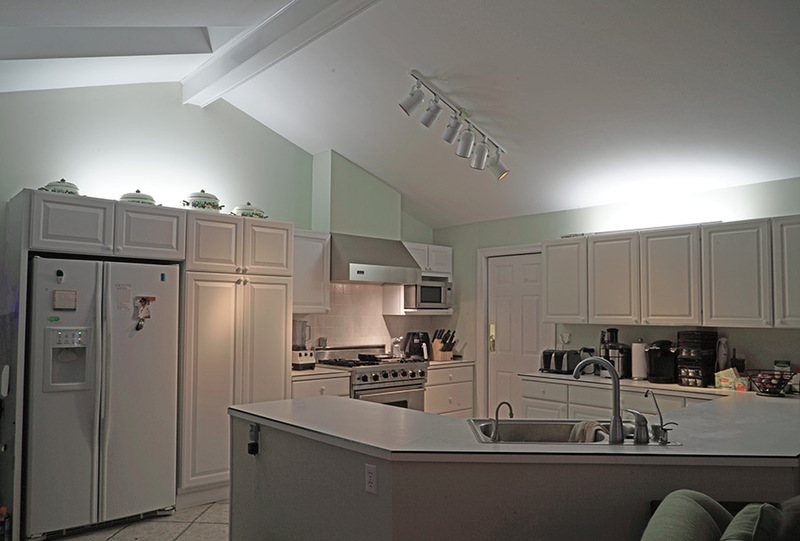 Turn power on and wait until light strip illuminates. If it does not come on, check light strips and wiring connections. Press “Pairing Switch” button on the Controller. Immediately press the Push Button Switch to pair it to the Controller. The LED lights wired to the Controller will blink when the pairing is complete. Multiple Push Button Switches can be paired to a Controller, and Push Button Switches can be paired to multiple Controllers. If multiple Controllers paired to a Push Button Switch are not in sync, unpair and then pair until Controllers and lights are in sync. Amazing product and great quality! 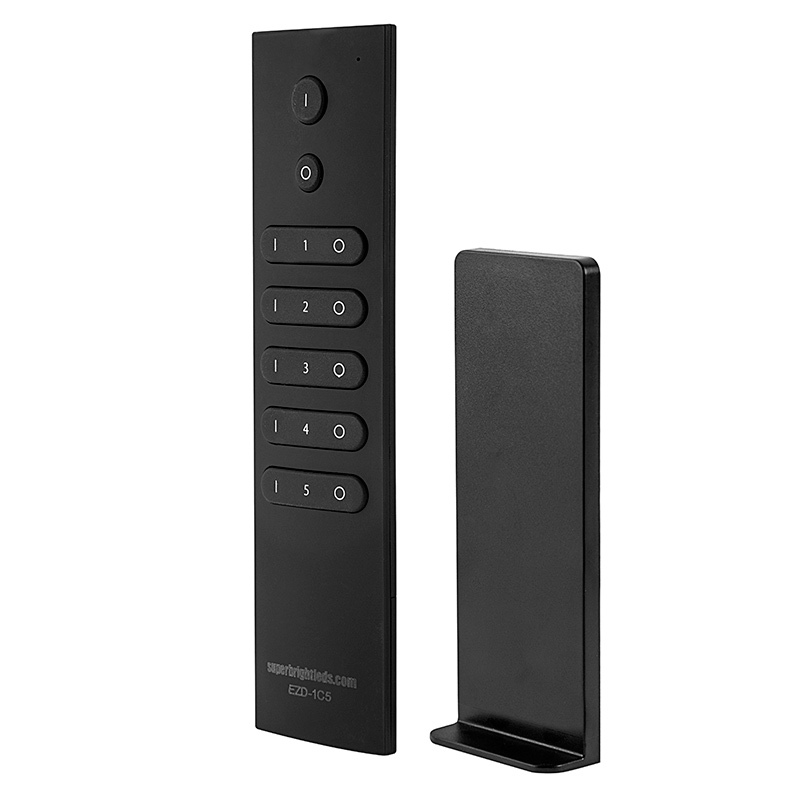 I've purchased a couple of these wireless remotes. I've never had any trouble with them not syncing to the transmitters. I have them linked to multiple transmitters and they all work at the same time. Great product and very well built! LED Strip Lights - 12V LED Tape Light with LC2 Connector - 114 Lumens/ft.